This is a square Vulcanite Portland Cement porcelain sign. This particular Vulcanite Portland Cement sign is red, white, and blue. 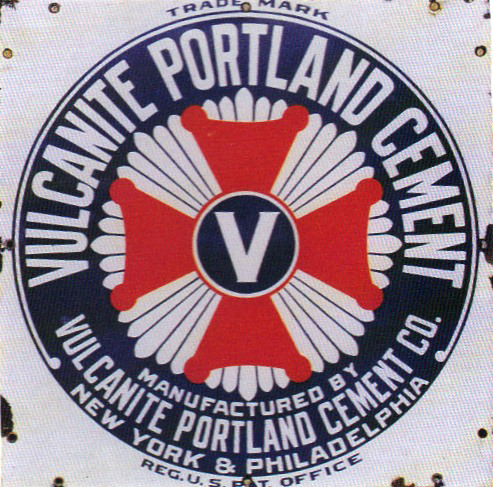 It reads, “Vulcanite Portland Cement, Manufactured By Vulcanite Portland Cement Co., New York & Philadelphia” and features red and white decorative cross with a “V” in the center of the sign.